Whether you’re producing a commercial for the coolest new toy or laying down a track for a hot new single, you need to use a great recording studio. There’s no substitute for professional recording studio services, even with all of the technology available today. A professional recording studio like Right Touch Studios (RTS) has the tools and equipment you need to produce high-quality audio for whatever production you are working on. 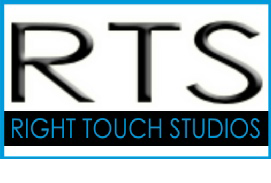 If you live in Cherry Hill, NJ, and want to record at a professional studio, contact RTS today. Our studio is located in Northfield, NJ, about an hour away from Cherry Hill, NJ, by car. With bronze, silver, gold, and platinum packages to choose from, you can select the option that works best for what you need to do. You can also customize a package to suit your needs. We have a team of musicians and singers who can provide accompaniment and backing vocals if necessary. We also offer guitar lessons, sound mastering, and iTunes set up if you need them. To learn more or to schedule an appointment at our recording studio, call (609) 457-9437 today.